Ogma offers all features required to display, explore, and interact with graph data within Web applications. This includes connecting to various sources to import and export data, smart layouts of the data, rich user interaction, and fully customizable visual style. Ogma is a commercial library. Please reach out to contact@linkurio.us to try it out. Please note that both Internet Explorer and Edge's support of WebGL is still experimental. Using a browser that does not fully support WebGL does not prevent you from using Ogma, however, performances drops are to be expected as the renderer might default back to canvas. For this reason, we recommend using Chrome. Ogma also runs server-side in Node.js >= 4.4.0. 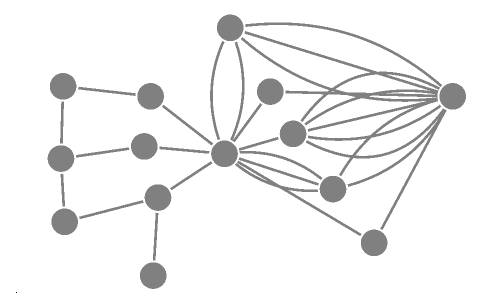 A graph consists in entities (nodes) connected to each others by relationships (edges). Each node and edge embeds a data object that can be used to store custom properties. Besides an API to manipulate the internal graph, Ogma offers convenient functions to generate random graphs, import graphs and connect to external data sources. // Import a graph from a file and set it as ogma's internal graph. // Retrieve the nodes from the 'Customer' category. // 'Category' is a property stored in the node's data object. // Print the customers's names to the console. // 'name' is a property stored in the node's data object. Nodes and edges can have a style property that is automatically applied when importing the graph (see the node and edge style formats). Styles defined via design rules automatically style nodes and edges. The style of specific nodes and edges can be overridden by manual styles that have priority over design rules. // Add a node that has a style. // Create a rule that styles all nodes so they have a green color and a radius of 5. // Create a rule that styles the nodes matching a **selector** (a predicate function) so they have a red color. // Note that the radius fo those nodes is 5 as they also match the rule above. By default, Ogma will use WebGL, and fallback on Canvas if not available. It is possible to specify the technology to use in the Ogma object constructor. 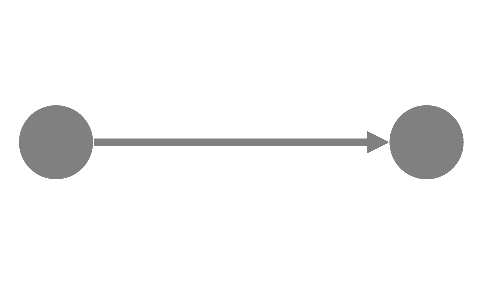 Let's start with a minimalist example that displays a graph with two nodes and a link between them. // Create an instance of Ogma and bind it to the graph-container. // Create a node with id 'n0'. // Add the node to ogma. // Create a node with id 'n1'. // Add the edge to ogma. Parsing is asynchronous: if you want to run code after the graph is parsed, such as to load the raw graph into Ogma, you must put it inside the Promise handler. Let's load a JSON file available here then set it as Ogma's graph. With Ogma's export module, you can export the graph, its data, and create images in various formats. It is possible to export the full contents of the graph, including data and styles. Using the JSON and GEXF formats allow to load the file later with ogma.parse module. Here, we export the graph to the JSON format. 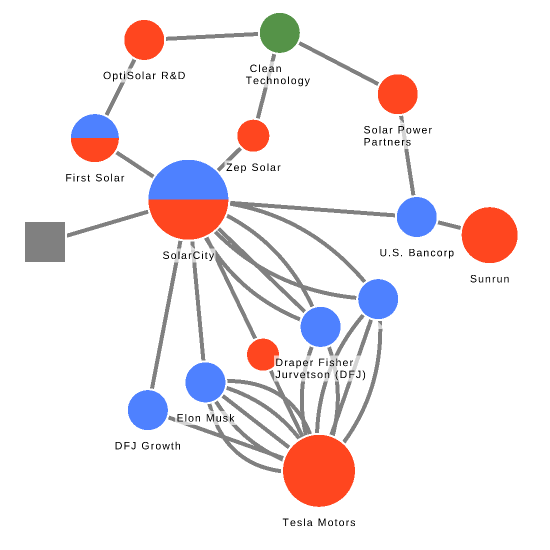 Ogma's graph data can be exported to various formats. For example, this line of code exports all nodes and their properties to the csv format. The exports function can take several parameters into account in order to customize what should be exported. In this example, we export the nodes and only some of their properties to the csv format. We also choose not to download the file but instead add a callback that displays the csv result into the console. The graph can also be exported as an image in various formats. Let's export the graph on the screen as a PNG file named 'screenshot.png'. Ogma exposes an API to access and modify its internal graph. Those functions use nodes and edges in the Node, Edge, NodeList and EdgeList formats. 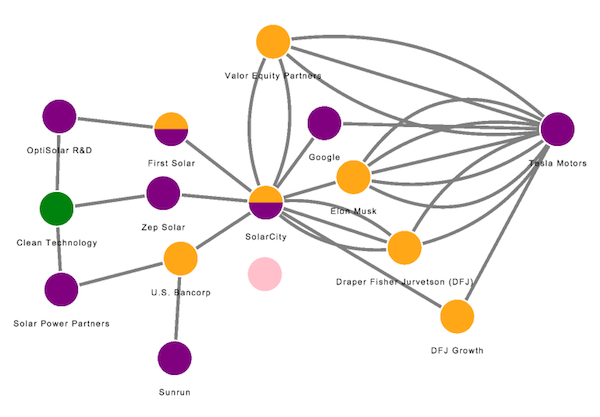 Let's add some nodes and edges to the graph. Note that nodes have to be added before edges. When adding or deleting many nodes or edges (more than 1,000) it is more performant to use the batch functions (e.g. ogma.addNodes()) than their individual counterparts (e.g. ogma.addNode()). The functions ogma.getNode() and ogma.getNodes() (resp. ogma.getEdge() and ogma.getEdges()) retrieve nodes (resp. edges) from Ogma's internal graph. These functions can be chained to traverse the graph and collect the nodes that match certain criteria. // Get node by id. // nJohnJr is a Node object. // Get nodes by id. // parents is a NodeList object. // addEdges is an EdgeList object. Edges and nodes can also store custom data (in the data property). Custom data can be retrieved with the function ogma.getData(propertyName)available for Node, Edge, NodeList and EdgeList objects. Let's retrieve the nodes that match a specific condition, then print their names to the console. // Store all nodes with an age property above 50 in an NodeList object. Let's now style the visualization. In the rest of this section, we illustrate how the style of nodes and edges can be changed. Rules are set globally with the functions ogma.addNodeRule() (resp. ogma.addEdgeRule()). Rules are functions use a criteria to select which nodes (resp. edges) they apply to. Rules are automatically updated when the nodes (resp. edges) they apply to change. Individual styles can be directly applied on specific Node, Edge, NodeList and EdgeList with the setStyle() function. In both cases, the NodeStyle (resp. EdgeStyle) objects are modified. Nodes and edges usually have a text displayed under them. This text can be fixed or based on a custom property. In this example, we create two rules. The first rule states that the text 'this is a link' should be used for every edge. The second rule states that the custom property 'name' of each node should be used as the node text. Map rules provide a convenient way to style nodes and edges based on qualitative properties (such as properties that represent categories): The field parameter maps the data to the visual attribute. If a value is missing, the visual attribute will be assigned the value in fallback if provided. If the property mapped is an array and the style to change is the color, the node will be split into several colors like a pie chart. For other visual attributes (e.g. shape, icon, image), the first value of the array is picked. Slice rules can be used to map visual styles (e.g. color or size of nodes/edges) to quantitative properties (properties with numerical values). The function ogma.view.locateGraph() centers the view and sets the zoom level so the graph is visible. The function Node.locate() (resp. NodeList.locate()) centers the view on a given node (resp. given set of nodes). Similar functions exist for edges. // Adjust the view so the full graph is displayed on the screen. // Center the view on the node with id 'n0'. // Center the view on the node with id 'n0' and its neighboors. 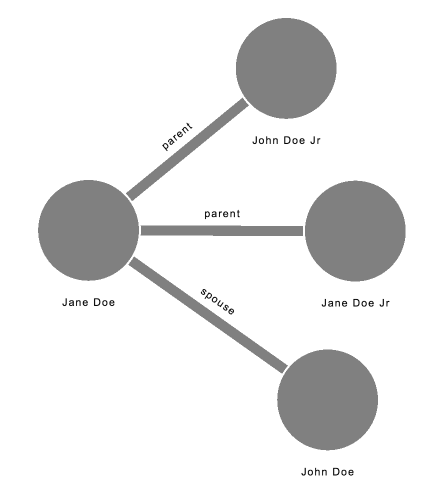 Layout algorithms position the nodes of the graph to reveal structural patterns. 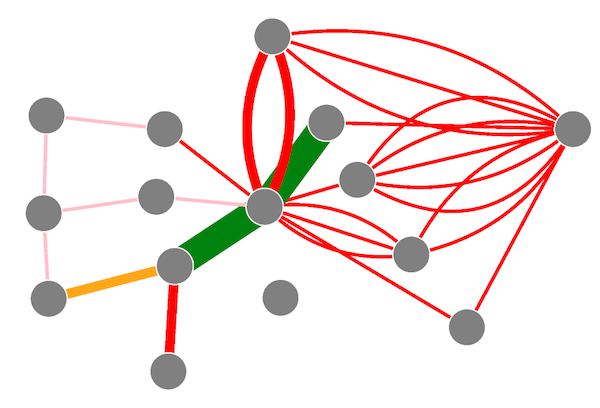 For example, the ForceLink layout makes connected nodes attract each others, and disconnected nodes repulse each other. This example runs the ForceLink layout with a nodeSiblingsScale factor of 12, and animate the positioning of nodes over 400ms, then center the camera with an animation over 300ms. The first argument is the parameters of the layout. The method returns a Promise. You can find the list of available layouts and their parameter in the Layouts module. The layout is asynchronous, so if you want to run code after the layout is done, you must put it inside the Promise handler or in the onEnd parameter. Filters can be defined globally to filter nodes and edges out of the visualisation. They use a function selector that returns a boolean indicating whether the node or the edge should be visible (true) or filtered out (false). Filters are automatically applied to new nodes and edges or when their data is updated. The following example only shows nodes having a data.properties.funding_total property greater than 300 million. // Create a filter on nodes. // Removed the node filter. // Remove all node filters. To enable user interaction with the graph and connect to the rest of the interface, Ogma uses a set of events. Ogma can handle various mouse, touch and keyboard events, and emits events when its internal graph data changes. // Open/close the geographical mode when the user presses Ctrl + M on the keyboard. A node/edge is selected when clicked. The selection is cleared when the background is clicked. A node/edge is added to the selection when clicked and the 'ctrl' key is held and the node/edge is not in the selection. A node/edge is removed from the selection when clicked and the 'ctrl' key is held and the node/edge is already in the selection. The current selection can be retrieved as NodeList and EdgeList. Here is a full example to demonstrate this feature and how to interact with it. Ogma has a lasso mode to create custom selections by drawing with the mouse: see the lasso example. In the same spirit as the lasso mode, ogma offers a rectangular selection mode to facilitate zone selections. Don't hesitate to reach out, we'd be glad to hear what you think and answer any question you may have.